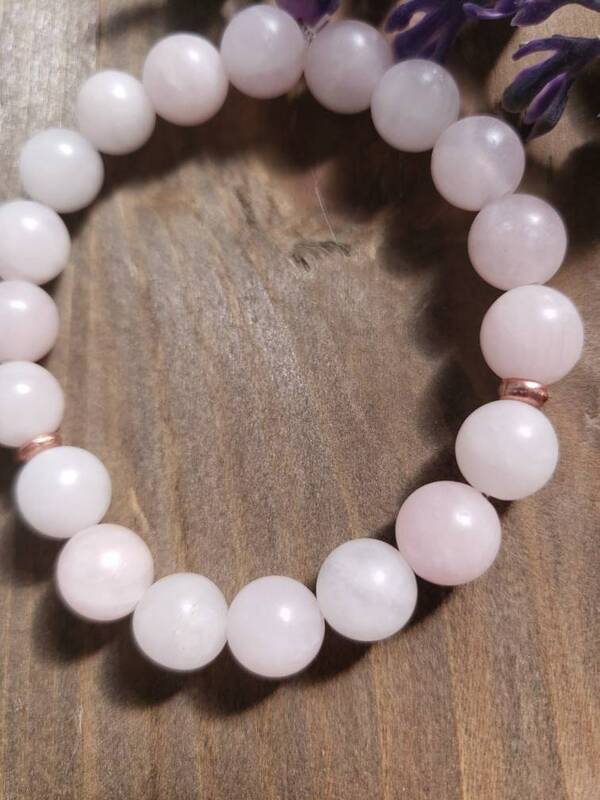 Rose Quartz is known as the love stone, when worn the wearer feels a sense of self worth. A gentle nurturing stone to open the heart up to receive love in all forms . 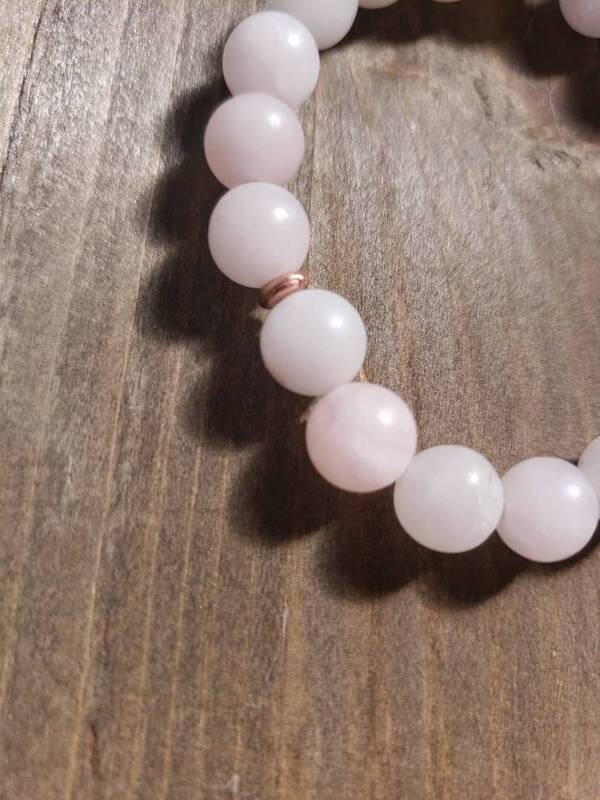 8mm matte Rose Quartz beads. To order, measure your wrist with a measuring tape. Choose the exact (or closest) measurement from the drop down menu at checkout. I will add additional length for comfort. 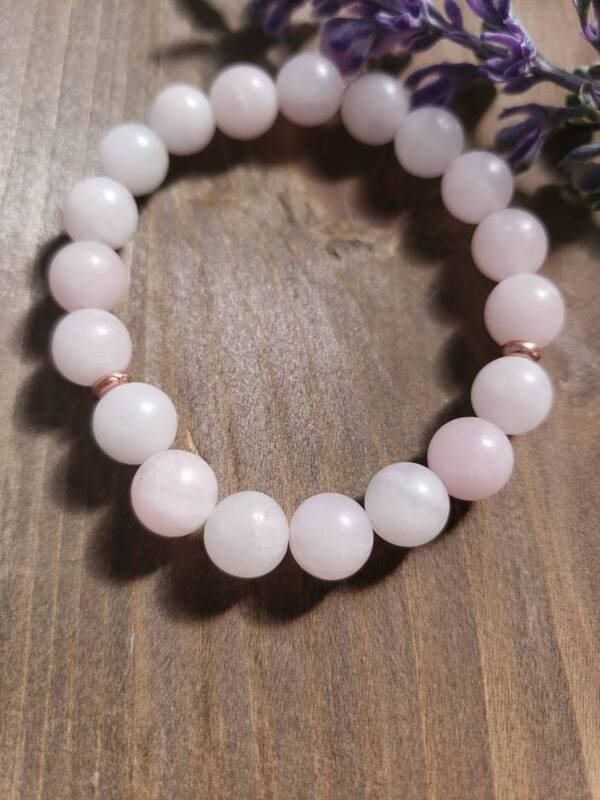 If you are looking for a specific length of bracelet please add it to the comments. Please handle the bracelet with care. Do not pull too tightly on the cord to avoid damage to the cord. If giving this bracelet to a child please monitor your child wearing it, the beads are small and could cause a choking hazzard.